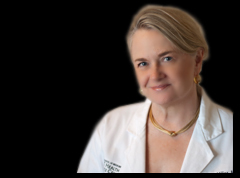 Claudia S. Miller, MD, MS, is an allergist/immunologist and tenured professor at the University of Texas School of Medicine at San Antonio. She researches the underlying environmental causes of disease and teaches the prevention, diagnosis and treatment of environmentally-induced or exacerbated illnesses. Her work led to the development of the most widely used screening instrument for chemical intolerance, the QEESI, and revealed a new disease process called Toxicant-induced Loss of Tolerance, or TILT. This validated questionnaire, The Quick Environmental Exposure and Sensitivity Inventory, or QEESI©, also known as the "TILT Test," helps researchers, doctors, and their patients identify individuals with multiple chemical intolerances. The QEESI© involves personal health information. Its use should be restricted to patients, their personal physicians, and researchers using the QEESI© as part of a protocol approved by an appropriate institutional review board (such as one registered with the U.S. Department of Health and Human Services Office for Human Research Protections). Please do not re-post the QEESI© or its image on any websites without written permission. Chemical intolerance in primary care settings: prevalence, comorbidity, and outcomes. Katerndahl DA, Bell IR, Palmer RF, Miller CS. Ann Fam Med. 2012 Jul-Aug;10(4):357-65. doi: 10.1370/afm.1346. Evaluation of the quick environmental exposure and sensitivity inventory in a Danish population. Skovbjerg S, Berg ND, Elberling J, Christensen KB. J Environ Public Health. 2012;2012:304314. doi: 10.1155/2012/304314. Epub 2012 Jan 12. Factors in genetic susceptibility in a chemical sensitive population using QEESI©. Fujimori S, Hiura M, Yi CX, Xi L, Katoh T.
Evaluation of subjective symptoms of Japanese patients with multiple chemical sensitivity using QEESI©. Hojo S, Sakabe K, Ishikawa S, Miyata M, Kumano H.
The idiopathic environmental intolerance symptom inventory: development, evaluation, and application. Andersson MJ, Andersson L, Bende M, Millqvist E, Nordin S.
Evaluation of a Swedish version of the Quick Environmental Exposure and Sensitivity Inventory. [Diagnosis of multiple chemical sensitivity by chemical compounds exposure tests]. Hasegawa M, Ohtomo M, Mizuki M, Akiyama K.
[Questionnaire survey of workers in specific buildings regarding multiple chemical sensitivity]. Manabe R, Kunugita N, Katoh T, Kuroda Y, Akiyama Y, Yamano Y, Uchiyama I, Arashidani K.
Hojo S, Ishikawa S, Kumano H, Miyata M, Sakabe K.
[Multiple chemical sensitivity: study of 52 cases]. Nogué S, Fernández-Solá J, Rovira E, Montori E, Fernández-Huerta JM, Munné P.
Application of Quick Environment Exposure Sensitivity Inventory (QEESI) for Japanese population: study of reliability and validity of the questionnaire. Hojo S, Kumano H, Yoshino H, Kakuta K, Ishikawa S.